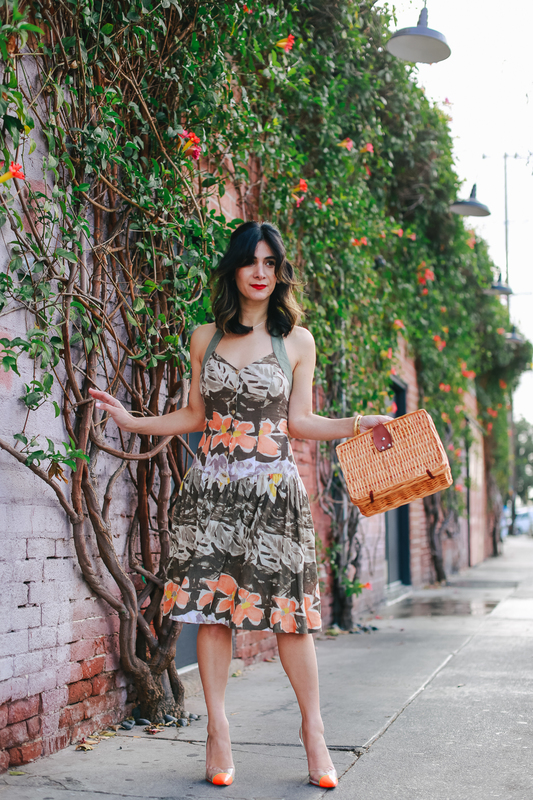 When it comes to my favorite eBay finds, this Hanae Mori dress is definitely in the top 5! It was on my watch list for the longest time and when the seller dropped the price, I snatched it up right away. 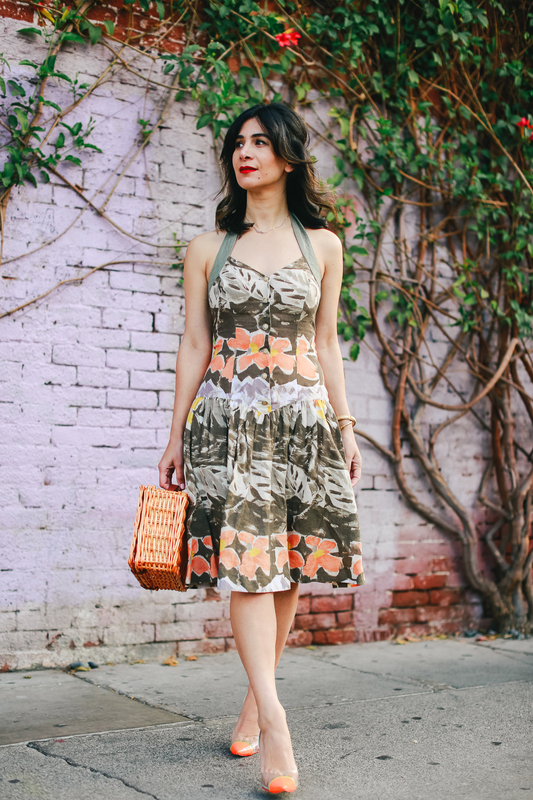 Most Hanae Mori dresses sell for at least $200+ on eBay (much more in vintage shops). This one was right around $100 and although it was a good price for the dress, I couldn’t pull the trigger. I waited and waited and the price finally went as low as $30 I knew it was time. The dress is the softest and silkiest linen and while I don’t skew ultra feminine or romantic, this dress is just too perfect for me. 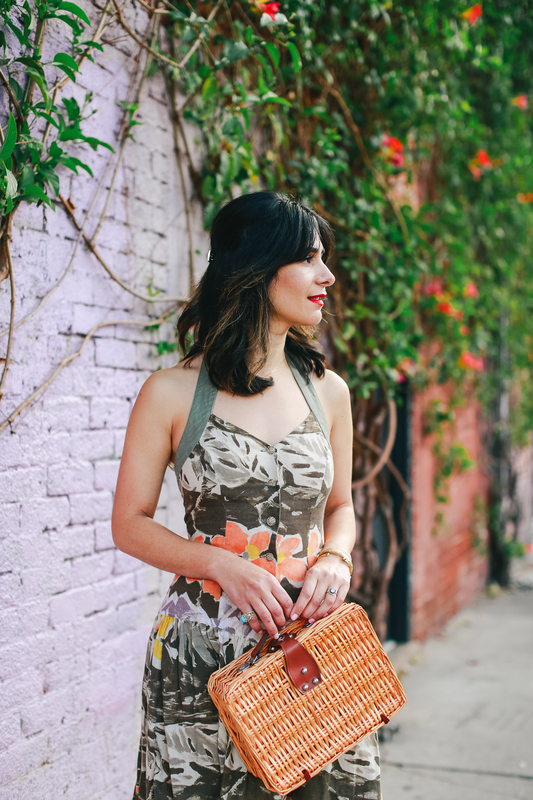 I’ll be wearing all spring and summer long, including this straw bag which I found at the thrift store! I guess I’ll have to stow away my it-bag of the moment!